One of the greatest subjects not being discussed in the world, and certainly not here in the US, is the subject of geoengineering. Fast forwarding to 2014, 58 years after this Sky King episode, most people would know nothing about the topic. Here in the US, the effective reduction in knowledge throughout the population has been extraordinary and effective over the years. But, as time marched on, so did the evolution of technology. Research continued around the world and as the subject of global warming became more prevalent, the possible implementation of such processes gained momentum. Particles in the atmosphere provide a barrier from the heat of the sun. For some people this seems intuitive, but for a more in depth analysis we can turn to a BBC Horizon production entitled “Global Dimming”. A scientist studying the impact of vapor trails on climate realized in the days following 9/11, the US average temperature went up as a result of the aircraft ban. This 1 degree increase over 3 days was statistically significant. Another scientist compared measurements taken during the 1950’s with measurements taken in the 1980’s and found a 22% reduction in solar energy hitting the earth’s surface. Farmers using pans of water to measure evaporation rates found in the 1990’s that the evaporation rates were declining despite increases in temperature. This was due to the fact that evaporation is more impacted by sunlight hitting the water than the actual air temperature. The “Global Dimming” was found to be attributed to air pollution. Therefore, areas of the planet that contained more air pollution were “cooler”. And areas with less air pollution were warmer. Despite Global Dimming, the average temperature of the planet has been increasing over the last 100 years. Interactive map below courtesy of NASA. It is not clear what activities are being pursued around the world to implement geoengineering activities. There is a YouTube video on geoengineering from the Open Mind Conference 2012 that goes into both the technical aspects and the health aspects of chemicals in the atmosphere. A whistle blower from the US Air Force is telling her story, and one of the most visible and vocal experts on the subject is working to protect his integrity. The forces at work to keep dumbing down the public are doing their very best to discredit these sources and keep the topic off the table for public discussion. 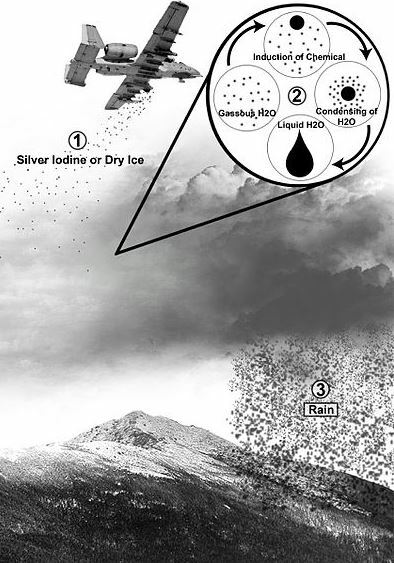 New York Times : Geoengineering : Our Last Hope or a False Promise?